We strongly suggest not playing with the Investors expansion or the "Advanced" side of the board for your first game. 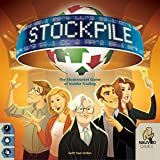 It is helpful to realize the worth of Stockpiles in the Demand Phase without having the investor abilities take effect. When playing with the second side of the board, each stock follows a different value track. If a stock goes bankrupt, return the value of that stock back to its original starting position, the darkened circle. If a stock splits, return the value of that stock to the value in the octagon. Stanford Steel is unique in this version because it pays additional dividends based on dollar signs ($) on its stock value track. As it passes or lands on these squares as part of a positive value change (from left to right), each player receives $1,000 in dividends per dollar sign for each Stanford Steel stock in his/her possession. Don't forget to multiply for split stock. Figure 12 - Advanced Board. Investor Cards determine a player's starting money in place of the normal $20,000 and give each player a unique ability to use throughout the game. Deal two Investor Cards to each player to begin the game. Each player picks one investor and returns the other to the box. 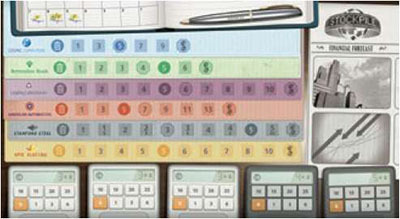 Figure 13 - Investor Cards. Note: All investor abilities occur in turn order in each phase. Example: Wise Warren started the round. Before the Demand Phase begins, he looks at all face- down cards in a single Stockpile. Maverick Mark goes next, and he uses his ability to move a face- down card from another Stockpile onto the one that Wise Warren just viewed. Abilities that trigger during the action phase are done on a player's turn, and can be performed before or after playing Action Cards obtained on that turn. Investors can be used when playing the 2-player variant, but a few clarifications are needed. Each player is dealt four Investor Cards and chooses two to keep. Note: If a single player has two investors with abilities which both occur during the same phase, that player may choose in which order to perform the abilities. Discount Donald - His power applies to both of his Bidding Meeples. Golden Graham - His ability occurs for all stock owned, regardless of the Bidding Meeple which acquired it. Mayknow Martha - Her power only affects only one pair of Insider Information. Secretive Stuart - His power applies to both sets of cards placed during the Supply Phase each round.